indie author – Publisher and Creator of trilogy series “Haee and the other middlings"
Publisher and Creator of trilogy series “Haee and the other middlings"
Books. Apps. Merchandises. & Cats. The art of children’s fiction lies in its emotional resonance and imaginative scope. Quite simply, a book without either of these factors is simply an illustrated waste of time. 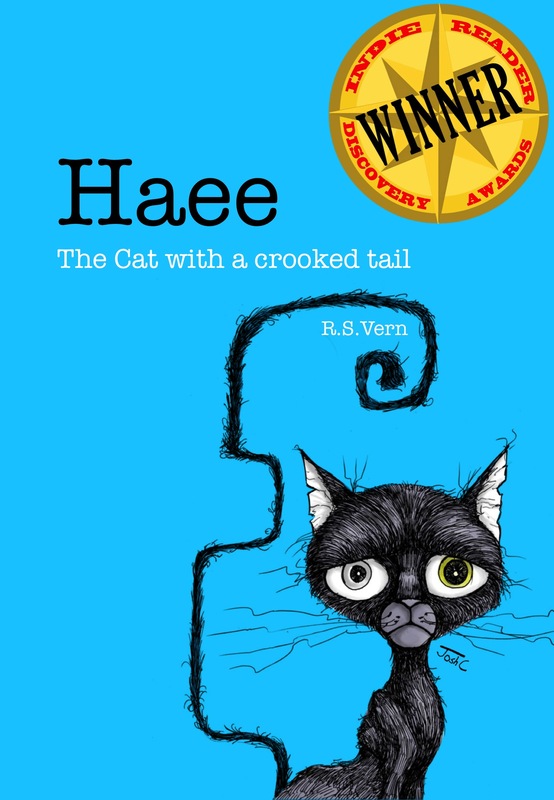 “The Unconventional Life of Haee” is the story of a cat who leaves a comfortable home in search of adventure. He wanders into a back alley where other cats hunt insects, vermin, and chew on the leftovers from a poorly-run pizza shop. An outcast cat named Whie temporarily manages to convince the other cats to give up their hunting in favor of a vegetarian, all-pizza diet, thus creating a utopia known as “Green Alley.” Eventually, a huge, somewhat thuggish interloper cat named Samzie invades the alley and refuses to abide by the rules. The pizza shop closes, the cats scatter, and Haee, the titular cat and hero of our story, moves on. In terms of emotional resonance, “The Unconventional Life of Haee” is immediately engaging to the reader. The cats humorously impersonate feelings of wanderlust, unconventionality, and stubbornness. The imaginative quality of the story is less stellar, in part because many of the accompanying illustrations are repeated. Whether this repetition occurs in order to save the effort of coming up with a new image or as part of a weak stab at humor is unclear. However, when the cats interact with one another, the book is funny, if only because the interactions hint at the complexity of real human societies. While “The Unconventional Life of Haee” is bold in its attempt to tackle serious issues of conservation, group dynamics and the importance of hygiene in the work place, it is not a classic in the canon of illustrated kid’s fiction. However, it does provide a welcome chuckle, even to the most hardened reader. Reviewed by Julia Lai for IndieReader. R.S. Vern wins the IndieReader Discovery Awards 2013! Middling Industries proudly announces “Haee The cat with a crooked tail” as the winner of IndieReader Discovery Awards 2013 under kid’s category. First published in June 2012, this is the first book in its series “Haee and the other middlings”. R.S. Vern, creator and author of this series, says she is deeply encouraged by this win. When she first started writing this series, her purpose was to deter children from wanting to grow up too fast and furious. Through the ingenious eyes of a cat, she pans out a story about the endless frustrations and dilemmas adults face in this middling world of the 21st century. R.S. Vern calls herself one serious middling – urbanised, bored, most of the time, confused. She recounts a particular incident at a dinner party which left her a deep imprint that fueled her writing on middlings. Middlings, as R.S. Vern defines, almost always wish they can have a different life. Even when you drive a fast car, have a great career, a great bunch of friends to hang out with, you’ll still think of having another life. And you feel trapped when 99% of the time, you are almost never going to have that other life. You go on searching for new experiences, at times feeling lost and aimless. But Vern believes there’s absolutely nothing wrong with that. So for you alone, bored and lost people out there, take on chance on this very peculiar indie read. Get social with Haee here!